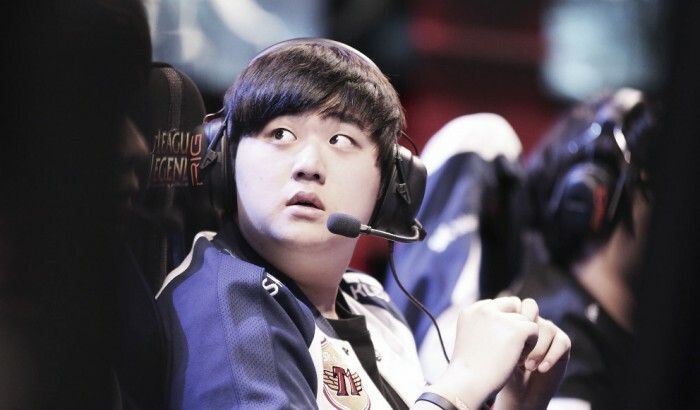 SK Telecom T1 continued their dominance, taking down Cloud 9 in the first match of day 2. Another year, another SK Telecom T1 dominance. SKT took down Cloud 9 quite easily in match number 1 of day 2. Faker had a very dominant game in this match, in a what most thought would be a quality matchup with Jensen. Turns out it wasn't, Jensen struggled mightily from an early gank from Benji, it snowballed downhill and Jensen could never recover. Where did C9 go wrong? Part of the issues with C9's game were from the draft. Cloud 9 opted into Lee Sin jungle instead of Elise, which gave SKT an Elise/Syndra duo in the match that turned out to be one of the key reasons to SK Telecom winning. Faker and Bang carried the load for SK Telecom T1. Faker ended with a score of 5/1/4 score, while Bang finished with a 6/1/3 score. Although Bang finished so well on the scoreboard, Cloud 9 did hold their own in the bot lane against SKT. IT didn't matter as much because of how dominant Faker was, but Sneaky did not look phased with the SKT bot-lane, which speaks volumes to other teams that may look to exploit Bang and Wolf. Of course Bang and Wolf are top-tier players, so that is much easier said than done. Not much was learned from this game. We knew that SK Telecom T1 was a better team than Cloud 9, what we weren't sure about is just how much better SKT would look. Today, SKT looked like their old selves. They were aggressive and especially with their timely aggression. We did see Bengi take the Rift in the jungle in place of Blank, which seems like it may pay off really well. One of the reasons that Blank was the starter is that the champion pool meta for junglers heavily favored Blank. But with a lot of bans taking out junglers like Nidalee and Rek'sai, Bengi has a nice nitch in this meta for the tournament. Bengi is also the guy for Faker. They've had such a long history together that it likely feels more natural for Faker in lane with Bengi roaming aorund his lane. Cloud 9 will play Flash Wolves tomorrow, while SK Telecom T1 will play I May.